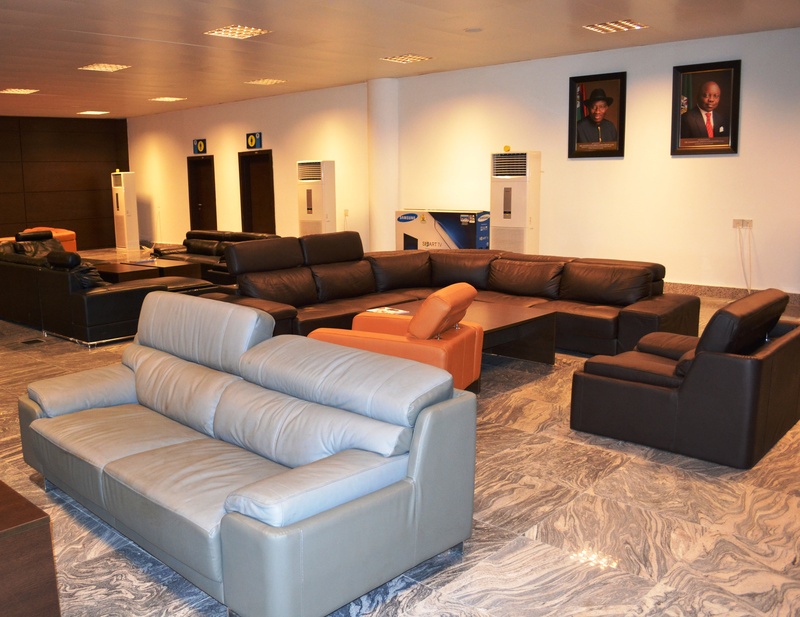 It is generally believed that it was the administration of Chief James Onanefe Ibori, from 1999-2007, that first muted the idea of building a standard category C Airport, capable of handling big planes like Boeing 737 and Cargo aircrafts in Asaba, the Delta state Capital, with the stated objectives of enhancing air travels revolving around the state, generating more revenue to boost the financial base of the State at completion and creating a modern, convenient and attractive transportation option and landmark for both the national and international community. The peculiar ethno/political arguments and considerations which attend such huge infrastructural initiatives in Delta state may have contributed greatly towards the failure of the Ibori administration to embark on the project and the onus was then placed on Dr. Emmanuel Eweta Uduaghan, who was the anointed successor of Chief Ibori, to use the Airport project as one of the cardinal promises to the people of Delta North and a key component of his well quoted Three- point Agenda of Peace and Security, Human Capital Development and Infrastructural Development, to secure the landslide votes of his election victory which he got from the Anioma axis. Exactly one year after Governor Uduaghan’s election victory, precisely on May 7, 2008, the foundation stone of the airport was laid by the former Peoples Democratic Party (PDP) National Chairman, Chief Vincent Ogbulafor and one of the very key promises which the Governor made on that day was to assure Deltans that the airport project will not be abandoned, despite competing needs for scarce state resources. He also added that the waste of man hours in travelling to neighbouring states by people living in Asaba was unacceptable and would be addressed once the airport was completed. The contract for the construction of the Airport was awarded to U.L.O .Consultants Ltd, at an initial cost of N6.47 Billion. ULO consultants Ltd, is an indigenous firm owned by Ogbueshi Uche Luke Okpuno, an Asaba indigene and widely regarded in several quarters as a key business player. 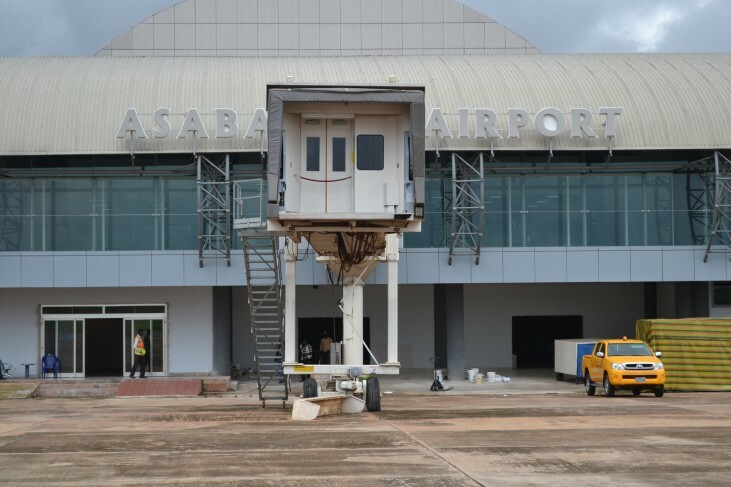 A history of sorts was made on Thursday March 24, and Friday March 25, 2011, when the long awaited Asaba International Airport embraced the landing of the first aircrafts on its airstrip. This first flight which can be described as a test run took off in Abuja at about 1:15pm and landed at the airport at about 2pm, on March 24th. The craft, a 48-sitter commercial aircraft owned by Overland Airlines flew over the adjoining towns to create awareness on the epoch making event. The pilot Gilbert Sampa said the flight was an interesting one and that he was happy to be part of the history making flight. He described the airport as one which has international standards and even made favorable comparisons with the international airport in Bangok, Thailand, adding that said he flew with lot of experience because it was his first time in the area. 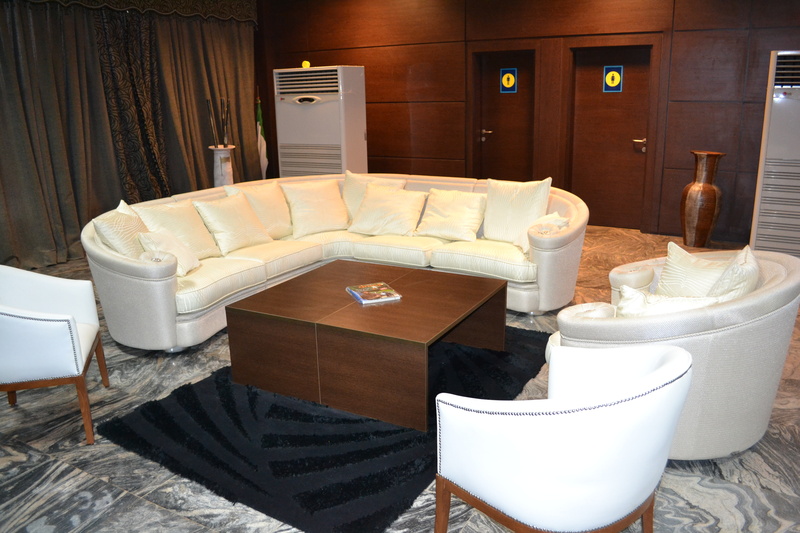 The second aircraft, a Six seater, France Air passenger Lear Jet, D/CPDR, landed at the Asaba International Airport on Friday, March 25, 2011 from Abuja at about 9am. The pilot, Frenchman, Ekstrand Rolf said it took him 25 minutes to fly from Abuja to Asaba. The passenger plane was said to have carried the Nigerian hip hop star, Wande Coal, who entertained the impressive crowd which had gathered to witness the event. The plane eventually took off at exactly 10:00 am. Originally, the first flight at the airport had been scheduled for November 16, 2010. 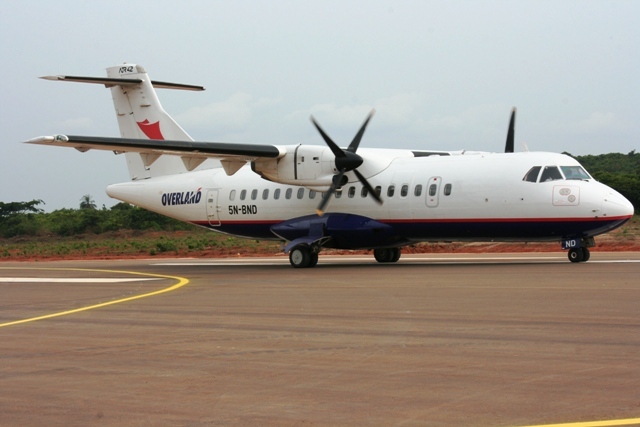 However several logistics, technical and administrative problems arose which delayed the landing of the first aircraft until Thursday, March 24, 2011 when the Overland Airways, ATR42 (5N-BND), landed at Asaba Airport at about 1.15pm on Thursday, March 24, 2011. Dr Uduaghan apparently elated by the success of the first flight mocked “doubting Thomases” to come and see the actuality on ground and said he was happy to see his dream transform into reality. His words “I am so happy with this achievement. My dream has come true and all those who criticized the project will now shut up their mouth”. Dr Uduaghan further said that the construction of an airport takes up to seven years and expressed happiness that within a period of three years an aircraft was able to land at the airport, adding that the airport will bring economic boom along with what he called “enormous multiplier effect”. He then commended the people of the airport communities of Asaba, Ibusa, Okpanam and Ogwashi-uku for their contributions and prayers even as he said that the credit of the airport should be shared by all. The first flight had been originally scheduled to land on November 16, 2010, but that initial first landing was however truncated by the Court of Appeal ruling in Benin on November 9, 2010, headed by Justice Monoica Domgban-Mensen, which annulled the 2007 Governorship election in the state, just one week to the scheduled landing, and ordered for a re-run election within 30 days. Governor Uduaghan won the re-run election held on January 10, 2011 and two months into his renewed mandate, on March 24 and 25, 2011, the first flights landed on the airstrip of the Asaba airport, which in a way justified the earlier projections of the Uduaghan administration on the timing of the first landings at the airport. 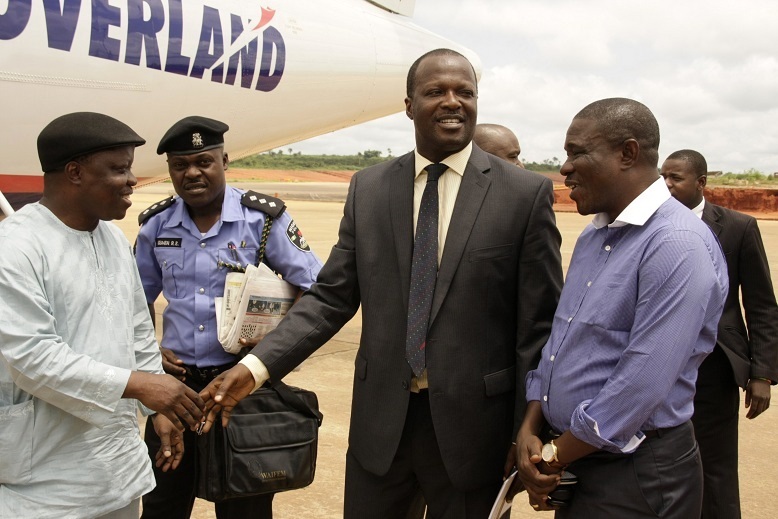 Commercial flights commenced from and into the Asaba International Airport on July 13, 2011 at the Airport complex, when the first flight took off and it was also reliably gathered that Delta State Governor Emmanuel Uduaghan was on board a Lear jet aircraft which took off to Abuja same day and from the Airport. Two aircrafts, a 48-seater commercial aircraft owned by Overland Airlines and a Six seater, France Air passenger Lear Jet, D/CPDR, said to be the same original first two aircrafts which had made the historic landings of Thursday March 24, and Friday March 25, 2011, were parked side by side on the tarmac of the airport, waiting for the passengers, amongst whom was the Delta State governor who was said to be traveling to Abuja. Addressing newsmen at the airport, the state Commissioner for Information, Mr. Christopher Ogeah, said: “Overland Airline is going to be the premier operator of this airport at the beginning and I can assure you that other Nigerian indigenous airlines are also going to join them and make this a lucrative route for the airlines. “I also want to say that we have certification. Like you all know, everything about this airport and aviation has to do with global safety standards and before certification can be given to us, you know the level of work we had done. 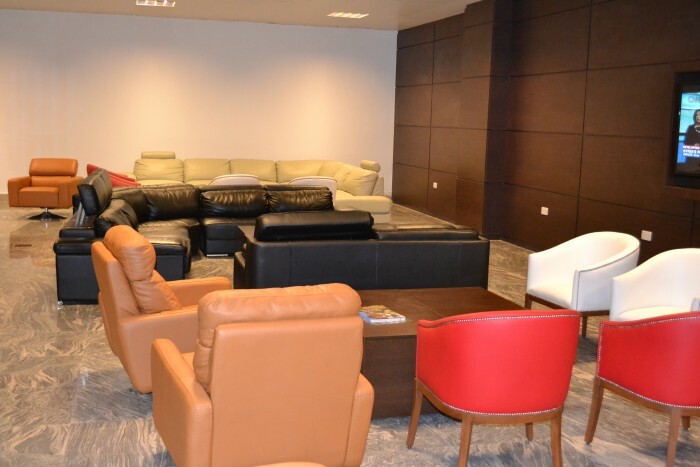 The Commissioner also said that the first two routes would be Lagos and Abuja, adding that a flight schedule was already being worked out between the airport management and the airline to ensure that full operational services were commenced immediately and satisfactorily. 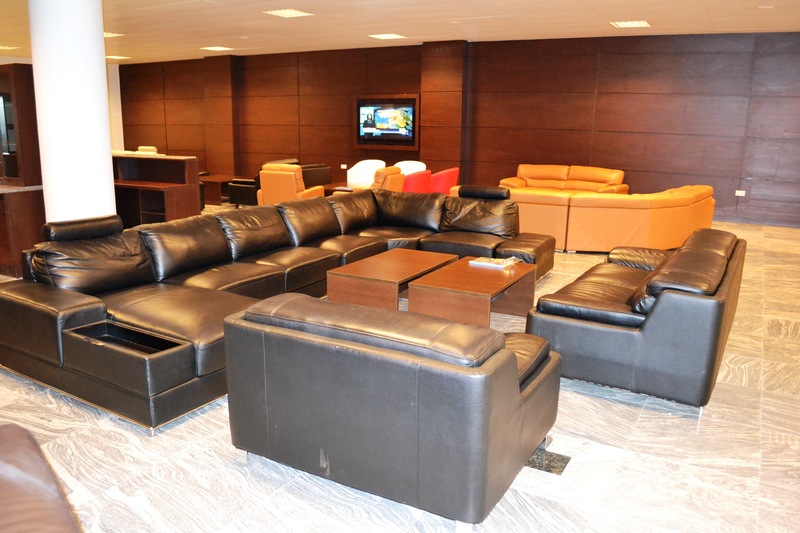 The first commercial fight with passengers from Abuja landed at the Asaba International Airport on Sunday, July 17, 2011 at exactly 12.17pm. The 48-seater Overland aircraft with registration number 5N-BND arrived at the airport with 20 passengers on board. One of the passengers who spoke to reporters Engr. Sam Arowosafe commended the standard of the airport, adding that the commencement of operational flight activities was a good development which would boost the economic development of the state. He was also optimistic that the airport would take Delta state to the top. His word: “This is a good development. 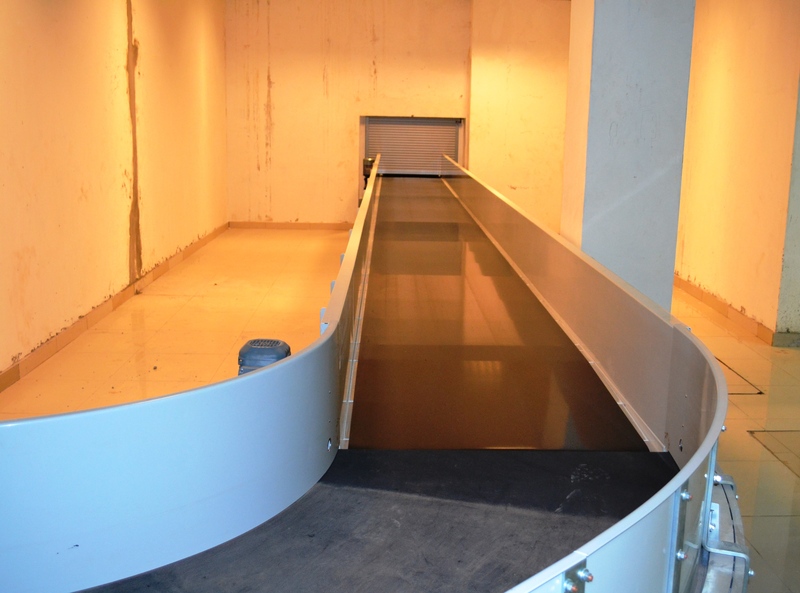 We are happy to be here and it will reduce cost”. Another passenger Hon. Ezechi Nwoye was full of praise for the administration of Governor Uduaghan especially for constructing the airport, noting that the Asaba International Airport has made air transport easy for the people living in Anambra state. He explained that before now they travelled to Benin Airport for all their movements but with the commencement of commercial flights in Asaba, it would cost them less to travel by air. Emphasizing further, he said “Dr. 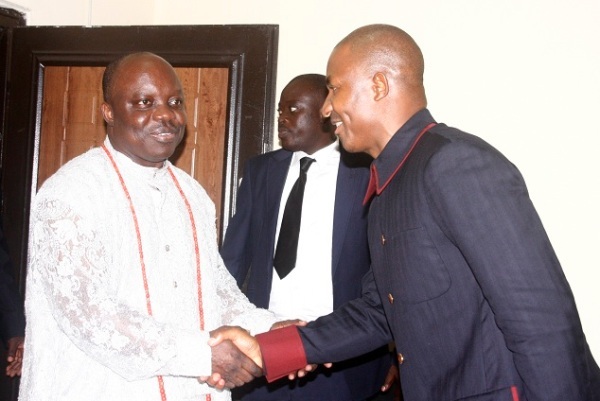 Uduaghan is doing well. We from Anambra State will not be going to Benin again as it is easier and cheaper for us here in Asaba. The State Governor who came from Abuja with the same Overland flight, expressed appreciation to God for a dream that has manifested into concrete reality, adding that the completion of an airport takes a long time. An elated governor Uduaghan told correspondents that, “the flight was smooth and pleasant”, and appealed to Deltans to shun rumour mongering just as he affirmed he will always welcome constructive criticism. He explained that even the best airport in the world still has some minor works going on either in form of renovation or adding more facilities. 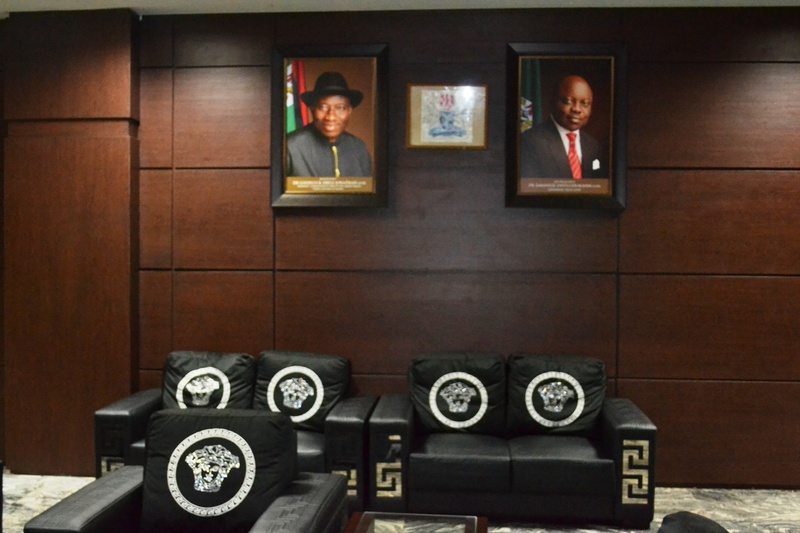 The Governor therefore appealed to Nigerians to be patient and follow the trend in Airport development as it was not easy to completely finish work in an airport in one swoop, adding that his administration was not against criticism, even as he promised to welcome any form of criticism provided such criticisms was constructive. His words “I welcome criticism at any time. In fact my administration is open and ready to listen to criticism provided such criticism was constructive and aimed at moving the state forward”. 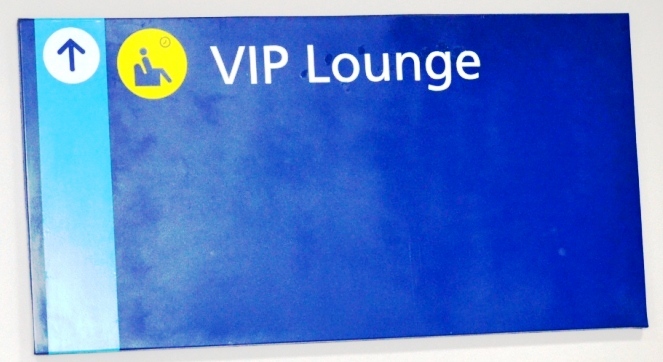 At the booking counter, intending passengers were seen purchasing tickets for their flights. Thereafter, they were frisked alongside their luggage with metal detectors before taking their seats in the departure hall. 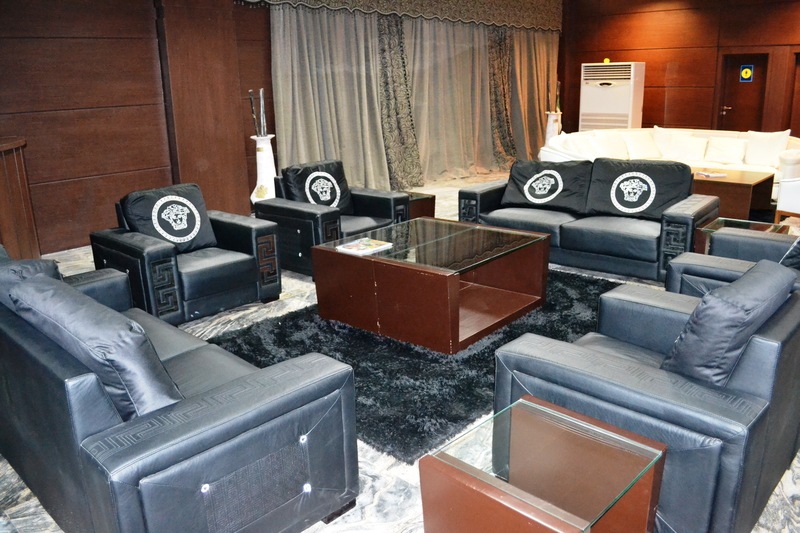 One of the passengers waiting to catch his flight to Lagos, Mr. Nosakhare Edokpayi, described the Asaba Airport as very unique, convenient. 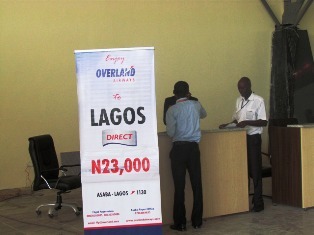 An official of OVERLAND Airlines told journalists that the airline presently operates two flights to Lagos and Abuja on a daily basis. Arik Airline, one of Nigeria’s most respected private Airline operators, joined the fleet of Aircrafts plying the Asaba International Airport in September 2011. This remarkable development was sealed during a special interactive session by representatives of the private Airline who had landed at the Airport to carry out a fact finding mission and formal inspection tour of the facilities at the Airport and also firm up negotiations with the Delta State government to a satisfactory conclusion. Addressing newsmen at the Airport, Delta State Commissioner of Information, Barrister Chike Ogeah said that the arrival of Arik Airline at the Asaba International Airport was a clear indication that the vision of the Delta State government to provide first class and comfortable Air transportation for both Deltans and others especially from the South East, was yielding expected results. 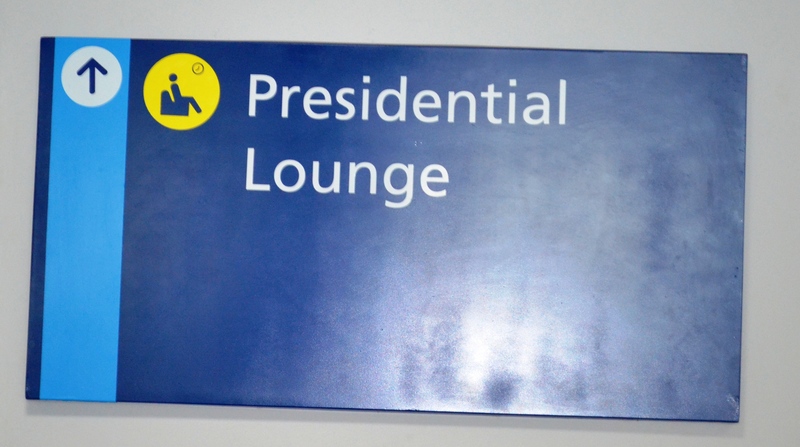 Barrister Ogeah noted that since commercial operations commenced at the Asaba International Airport, the influx of travelers has been amazing as many have now fully embraced the reality of a safer, quicker and much more efficient travelling experience compared to what had existed before now. Ogeah said that the decision of Arik Airlines to commence operations from Asaba was an attestation to the fact that the Airport had indeed met all the necessary standards required for operations and was ready to be utilized for full commercial purposes, adding that the Asaba International Airport would soon commence operations to other national routes including the South south states. The Commissioner then extolled the vision of the Governor Uduaghan administration for this very laudable initiative which he said was once again another clear indication of the desire of the governor to put smiles on the faces of Deltans. Speaking on behalf Arik Airlines, the Managing Director, Mr. Chris Ndulue thanked Governor EmmanuelUduaghan for providing an Airport with such very high standards. Ndulue, who described the Asaba International Airport as ‘Impressive’, noted that the Airport was comparable to the very best Airports in world and commended the Delta State governor for judiciously utilizing the resources of the state to provide a structure of quality for the Air transport operations in the state. Speaking further, Ndulue said that Arik Airlines was proud to be associated with the Asaba International Airport and would commence full commercial operations from the Asaba on Friday, September 2, 2011 with maiden flights from Lagos to Asaba and Asaba to Abuja and vice versa. He also confirmed that Arik Airlines would deploy the DSAH-8 propeller Aircraft, a 74 seater Aircraft with 10 Business Class and 64 Economy Class seats, as directed by the NCAA for its initial operations from the Asaba International Airport, adding that the Airline would operate flights five days a week except on Tuesdays and Saturdays, pending when the Airport has been fully completed for it to begin daily operations and increase its capacity. Ndulue, who praised the Asaba International Airport as the ‘best Airport on ground in Nigeria’, noted that the economy of any nation, which was driven by the movement of people from one place to another in the pursuit of lucrative ventures, would be greatly enhanced with the Airport, adding that this would make things easier for travelers from Asaba, Nigeria and the world. Also in the company of Barrister Chike Ogeah and Mr. Chris Ndulue, were Mr. 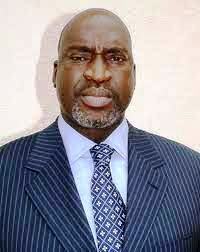 Ado Sanusi, former Managing Director NAMA and now Director of Flight Operations (DFO) with Arik Airlines and Hon. Austin Ayemidejor, Project Manager of the Asaba International Airport. 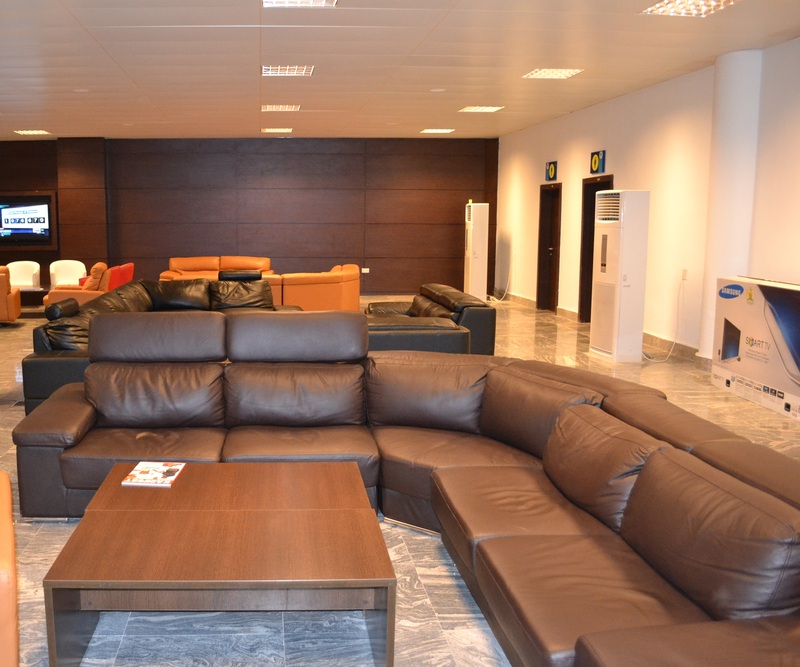 Arik airline commenced operation at the Asaba International Airport in September 2011. Arrangements for the Asaba International Airport to commence night flights and receive larger aircraft on its runway, with the permission of the regulating authority, NCAA, following the remarkable progress in the construction work at the airport, was set in motion when Governor Uduaghan turned on the lights to illuminate the runway of the Asaba International Airport, Monday, March 19, 2012. 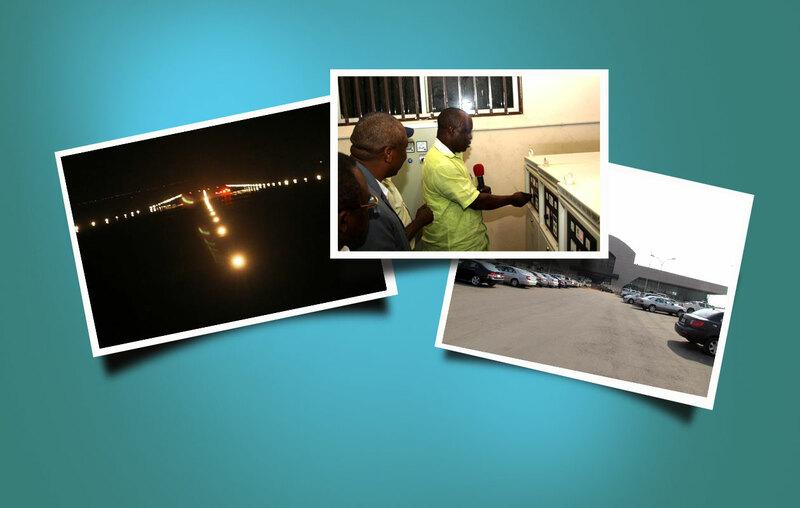 Governor Uduaghan, then took a road cruise down the runway, after the symbolic light turning on event to fully access the functionality and effectiveness of the lights, expressed satisfaction at the pace the construction work was going. Speaking with newsmen on the runway of the Asaba International Airport after the historic event, Governor Uduaghan noted that the work was been completed in stages to ensure that standards were not compromised and also enable the NCAA access and certify each stage guarantee safety and enhance passenger confidence in the airport. Said he; “With the runway lights in place, the airport is now ready for 24-hour operations. I am more interested on the airport being used by passengers rather than on when the airport will be completed and that is why we are doing it stage by stage. We need the approving authorities to give us the green light and clearance as we complete each stage and that is what is important, so i am not losing any sleep over when it is completed”, he said. Speaking further, Governor Uduaghan said that the runway of the Asaba International Airport was now ready to commence night flights and take larger aircraft, adding that the lights was capable of bringing in bigger planes and length of the runway was long enough to take any plane in the world. He however noted that the timing of this next phase of operations at the airport depended on the NCAA as the regulating authority which was responsible for granting the permission, adding that while some present challenges like cutting down the few remaining hills and liaising with the surrounding communities over the issue of the perimeter fence still existed, he was optimistic that these matters would soon be dealt satisfactorily. 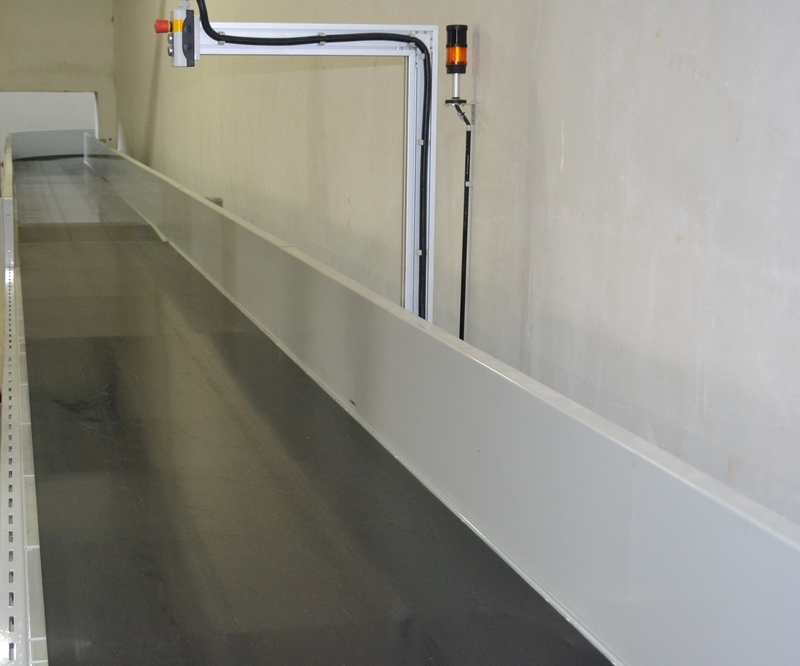 The Asaba International Airport runway is said to be in excess of 3.4km in length and over 60 metres in width. 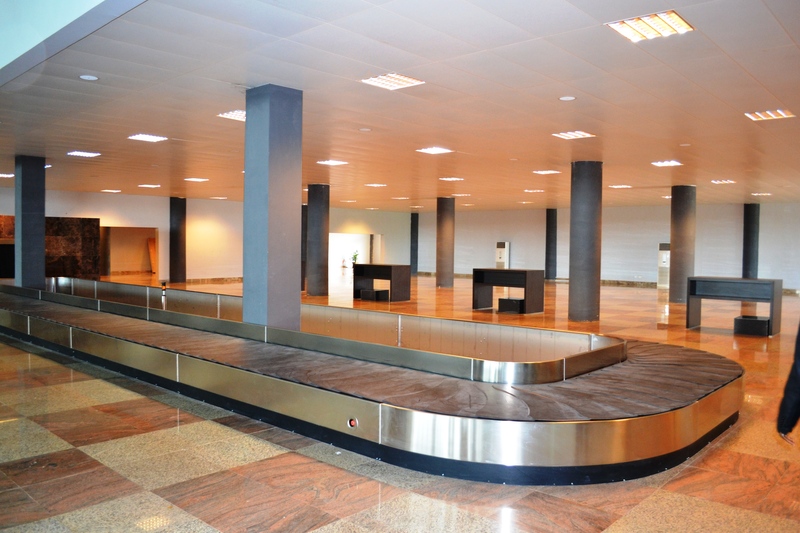 In its effort to ensure that all possible hitches are resolved in the agenda to complete the Asaba Int’l Airport, Delta Government has paid N4.35 million as compensation to owners of houses in “Akwa Red” area of Asaba, demolished to pave way for the ongoing construction of the Asaba International Airport. Our correspondent reports that the compensation was paid for 135 buildings, including five churches, at Ogbogbo satellite community, affected by the exercise. Investigations revealed that households in the community received amounts ranging from N5, 000 to N500, 000, from ULO Consultants, the contractor handling the airport project, on behalf of the government, and that the owners of makeshift houses, which dominated the community, were paid between N5, 000 and N20, 000, while families with permanent structures received N200, 000 to N500,000, depending on the size of the houses. It was also revealed that N80, 000 each was paid to churches demolished in the community, which according to investigations, was strictly for the structures as compensation for the land had been settled earlier. Confirming receipt of the compensation paid on Feb. 20, 2012, one of the displaced residents, Mr Venatus Ndiefo, said every house owner in the satellite community had been settled. He said he received N20, 000 as compensation for his house, adding, “they told us that the money was for us to relocate to any other place of our choice”. Contacted, Mr Austin Ayemidejor, Special Project Adviser (Airport) to Gov. Emmanuel Uduaghan, confirmed the payment to residents of the community and explained that the compensation to Ogbogbo community was the latest of such payments to owners of land and property affected by the airport project. Delta state governor, Dr. Emmanuel Uduaghan finally laid to rest, the contentious matter of the cost of the Airport, when he confirmed that contrary to the figure being paraded by mischief makers, the actual contract value of the Asaba International Airport is 27.7 billion naira. The governor, who made this disclosure, while briefing journalist in Asaba on January 31, 2013, equally added that the contract sum of N7bn for demolishing the hills at the Airport site was part of the initial contract cost of the airport; a matter which had been grossly misinterpreted out of context as an additional sum to the original total cost of the Airport. He explained that there was no new contract awarded for the demolition of the hills but that two more contractors had now been engaged to assist in bringing down the hills. The Federal Government of Nigeria has approved an Agro-Cargo section for the Asaba International Airport to cater for the export of agricultural produce and business. Delta state Governor, Dr. Emmanuel Uduaghan who disclosed this on Tuesday October 1, 2013 during a Radio/Television Phone-in-Programme at the Delta Broadcasting Service, Asaba, said that the Agro-Cargo section would enable the export of agro-produce from South-South and South-East regions of the country. According to him, the” the Federal Government will also develop a green area behind the cargo terminal where it will grow vegetables all year round crops for export from the airport. This will encourage local farmers to increase their yields and export to viable markets abroad as well as improve the economy of the nation and the state in particular”. Dr. Uduaghan opined that farmers in the state would benefit tremendously from the development of the agro-cargo section as they would utilize the airport to export their produce and also sell their produce at competitive rates. 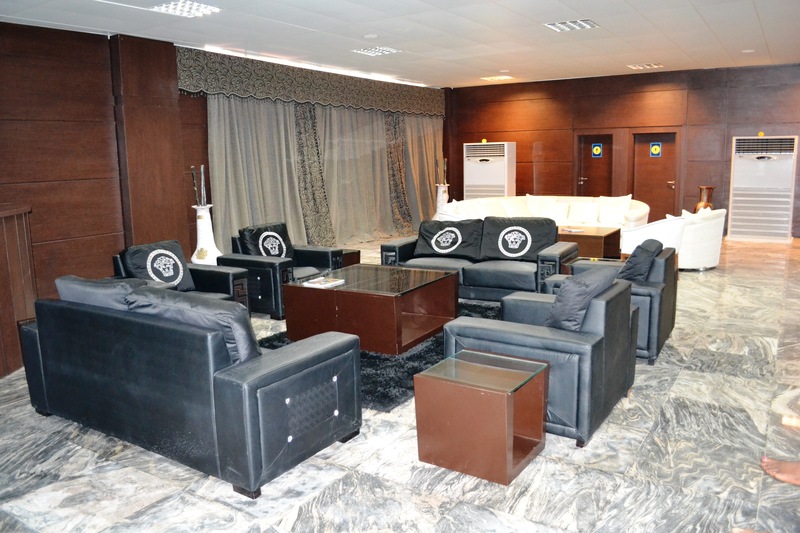 He said that the state was working closely with the Ministry of Aviation to get full operational License for the Asaba International Airport stating that: “a technical team has been put together by the Ministry to collaborate with the state government to rectify gray areas and ensure the granting of the full operational license”. The ASBA international Airport achieved yet another milestone when the Delta State government concluded arrangements to collaborate with the Nigerian Christian Pilgrim Commission (NCPC) to airlift pilgrims from the Asaba International Airport to the holy lands overseas. This affirmation weas made in August 2013, when Governor Emmanuel Uduaghan of Delta State said that his administration would work with the NCPC to ensure that there were no hitches in the airlifting of the pilgrims, stating that neigbouring states should also, be allowed to make use of the airport to travel on pilgrimages. Speaking at Warri when a team of the NCPC led by its Executive Secretary, Revd. John Kennedy Opara, paid him a courtesy visit, the Governor observed that the use of the Asaba International Airport to airlift pilgrims is a welcome development. He said that it is on record that pilgrims from Delta State to the different holy lands do not abscond but use such trips for spiritual and moral reasons. He disclosed that his administration has also, mapped out programmes to ensure that pilgrims from the state do not only embark on the trips for spiritual and moral reasons, but also find time to study the agriculture programme of the places like Israel during pilgrimage. “We have introduced a system where Deltans are allowed to study the nature of agriculture of the people of Israel while on pilgrimage, so, it is not only for spiritual benefit”, he stated noting that Nigeria has more fertile land than Israel but the agriculture sector of that country was thriving more. “For us in Delta State, we take the issue of pilgrimage very serious and we commend your efforts in encouraging Nigerians to go on pilgrimage because, there is a lot of benefits in going on pilgrimage,” Dr Uduaghan said. 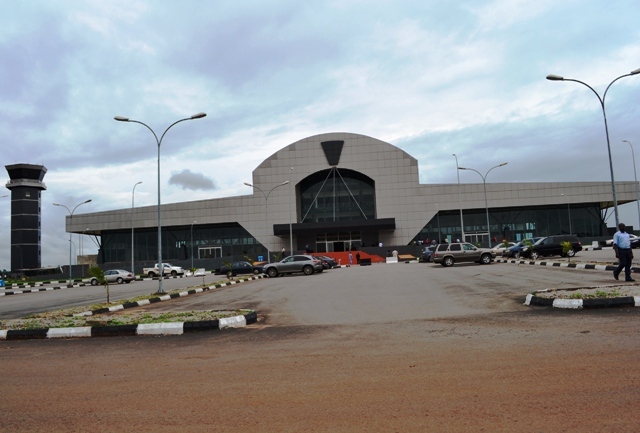 The Asaba Int’l Airport has handled 6,331 flights and 192,651 passengers at the end of October 2013, since commencing commercial flight operations on July 13, 2011. This disclosure was made by the Delta State Commissioner for Information, Barr. Chike Ogeah who equally added that this figure does not include the 18 flights and 63 passengers handled before commercial flights began, which would eventually bring the total operational results of the Airport to 6,349 flights and 192,714 passengers as at the end of October, 2013. 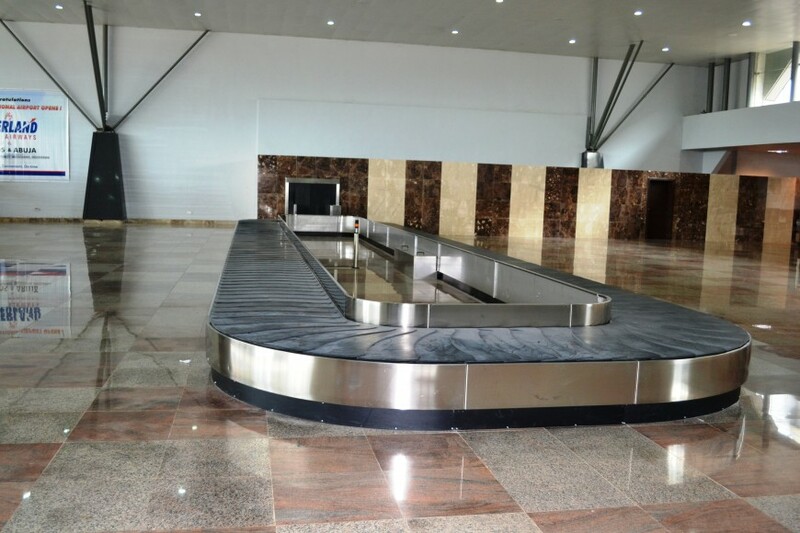 Unveiling the airport’s performance data in Asaba, Ogeah said the return is unprecedented for a new airport and is only the beginning of the stunning growth of the airport. The Delta Information Commissioner further noted that with an average of 260 flights and 6,880 passengers recorded monthly, Asaba Airport has become one of the busiest and viable airports in the country, adding that the month of April 2011 recorded the highest traffic at the Airport with 401 flights when the Delta State capital hosted the Second South South Economic Summit, while the 9,588 passengers recorded during the S/South Summit was second only to the 9,778 recorded in August 2013. He said Asaba Airport was conceived as a strategic economic platform to open up not just Delta State but the neighbouring states in the south east to the global business community, noting that with its designation as a cargo airport, it will become a hub for the export of agricultural and manufactured goods in the near future. 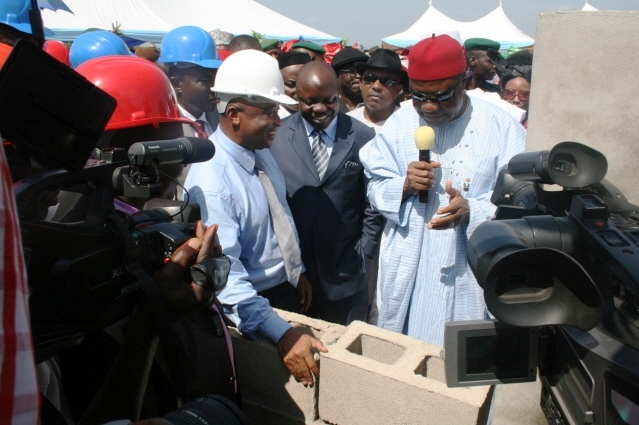 Ogeah equally affirmed that; “In deciding to build the airport in Asaba, Governor Uduaghan envisioned it as part of a concerted plan that involved the dualization of the Ughelli-Asaba Road to link the seaports in Warri and Koko to the major commercial outposts in Onitsha and other towns in Anambra State,” even as he added that, “today Asaba Airport has become the preferred destination for air travelers in Anambra and Imo states”. Asaba Airport is currently serviced by Arik Air which operates Boeing 737 planes and Overland Airways who pioneered scheduled commercial flights from the airport. 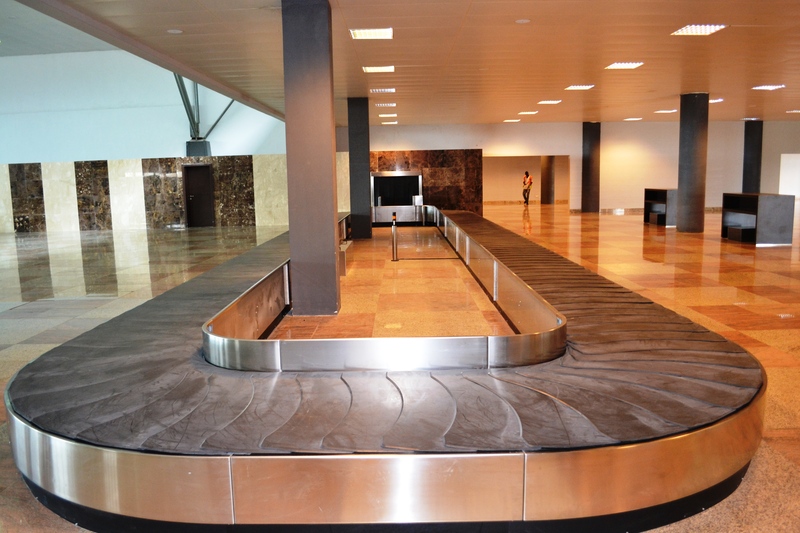 Daily flights linking Lagos and Abuja are operated by the two airlines. Other airlines are gearing up to open more routes from the airport. The length of the runway is 3.4 kilometres, one of the few highest in the country, and can accommodate the Boeing 747 plane and other long range aircraft. This is lovely, how can one apply for a job in the airport?